It is no secret that satisfied customers are key to a successful business. On Apr. 26, Pensacola State College’s Center for Corporate and Professional Development Training and the Studer Community Institute will join forces to share what it takes to attract, maintain and grow a solid customer base. “Harnessing the Power of Exemplary Customer Service – Every Customer. Every Time.” is set for 8:30 a.m.-4 p.m. in the WSRE Jean and Paul Amos Performance Studio on the Pensacola State campus. 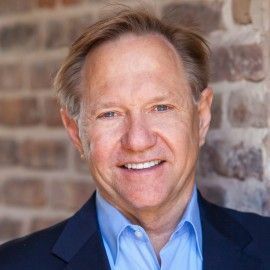 Quint Studer, founder and CEO of Studer Community Institute, along with Donna Kirby, vice president of operations for the Pensacola Blue Wahoos, will provide information on successful customer service. Understanding how the culture and values of your organization drive excellent customer service. • Learning to identify and hire service-oriented staff. • Learning a set of specific tools and processes that will help you build great service into your company culture. • Understanding the concepts of great service recovery to diffuse difficult situations and recover fast.Ruth McKinon, workforce development/CWE coordinator at the Center for Corporate and Professional Development Training, said the seminar will appeal to organizations and businesses interested in learning effective ways to attract and retain more customers. 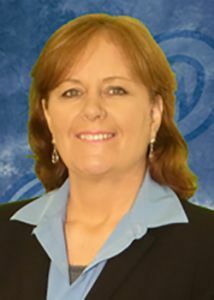 “We, at the college’s Center for Corporate and Professional Development Training, are focused on improving customer service and are thrilled Mr. Studer and other professionals will provide a day of training to help business professionals hone their skills,” she said. Studer added attendees will not only learn tried-and-true methods to improve customer service but also gain confidence and be willing to take initiatives that can lead to better performance. “We are honored to be invited by Pensacola State College to provide this day of training. Thank you for joining us on our mission to build great businesses and communities,” he said. Seminar tickets are $199 and are available at tickets.vendini.com. Doors open at 7:30 a.m. and the seminar will include a continental breakfast and box lunch. To reserve your seat, go to www.pensacolastate.edu/ECET. For more information about the seminar, call McKinon at (850) 484-1374 or Tracy Hunter at (850) 484-1363 or email dtcreg@pensacolastate.edu.